This will definitely be one of the strangest phones you’ll see this year. Introducing the Heart 401AB, a heart-shaped phone that can make calls and only calls. It doesn’t have a camera, or even SMS functionality. This oddly-shaped phone maybe quirky but there’s actually more to it. 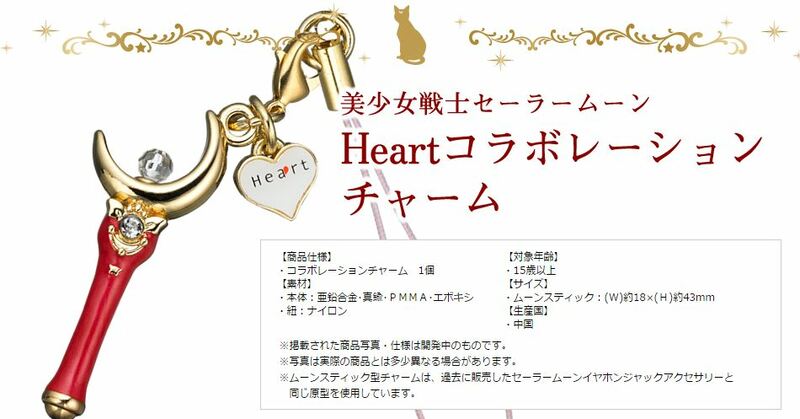 Japanese carrier Ymobile will start selling the heart-shaped device in March. The phone takes an unusual approach in design in the sense that it uses a twisting motion to transform the phone from a heart shape into a peanut shape for when you want to make calls. Even the USB charger accompanies the Heart 401AB perfectly in a heart-filled manner. The Heart 401AB has a 0.9-inch monochrome display with a 128 x 36 screen resolution. It weighs around 54 grams and is 23mm thick. It takes roughly three hours to charge the device, which gives two hours of continuous talk time and 160 hours of standby time, give or take. It contains 100MB internal storage space and can store up to 100 contacts. One might ask, “how is that possible with the phone not having any keypad?” It utilises a smartphone app to transfer your contacts over and touch sensors enables users to “elegantly” perform operations on the phone. That’s not all. In conjunction with Sailor Moon’s 25th anniversary, a Sailor Moon edition is also available. It comes with official Sailor Moon stickers and a complimentary Moon Stick that acts as a phone charm. 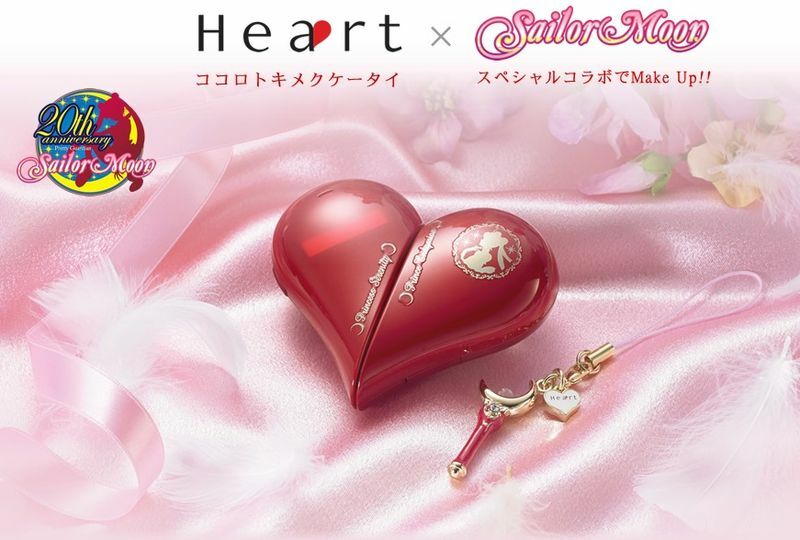 The device will go on sale from the 22nd of March while pre-orders for the Sailor Moon edition starts exclusively in Japan, from the 22nd of March until the 10th of April 2015.